Wanna join the discussion?! Login to your Mystical Odour Online Forum forum account, or Register a new forum account. Btw, maybe you have done it already. But something I have done to make Grid really excellent, is to change theopacity to ppl out of range to like 10-20% and then ofcourse to invert the coloring. But also to make name text, and health deficit text white, instead of class colored. 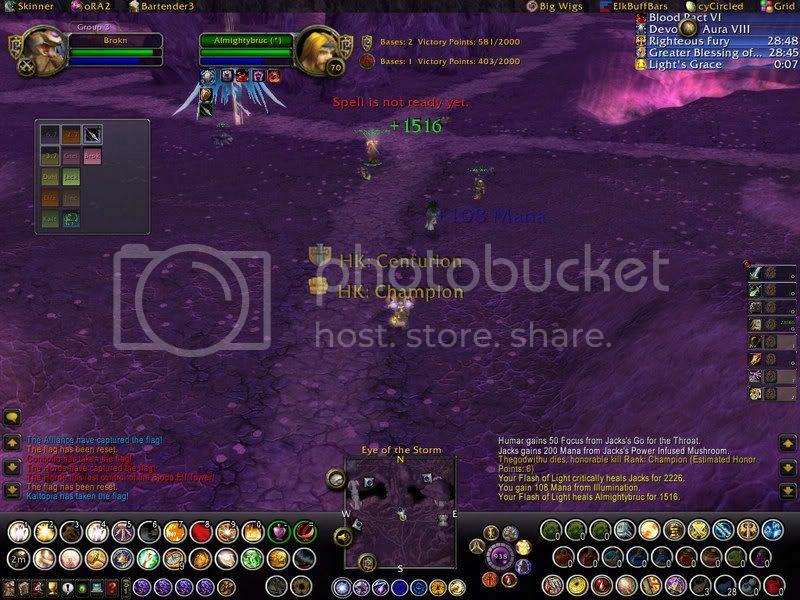 wich addon makes the your action bars round instead of square? still trying to find a way to get rid of that world map icon top in the top right corner, any ideas? Well it does Brokn, but the cinematic veiw and feeling is great, trust me its worth it. Been back for ages Jogri. Cruddy old UI, but I filled up all the black space, no gaps. Again, try to waste no space, and have no UI elements that are on the black area overlapping onto the game world. I try to imagine it physically I guess, like a car dash board and your windscreen. Why would your speed ometer be half on the dashboard and half on your windscreen :P Meh, bad examples but you get the idea! Whats the addon that shows that casting bar on that second SS of yours Draken? I'm a and there's nothing you can do about it! I am rare, I am queer, I am here! All I want is Everything!!! Looks like Quartz to me. Indeed, Quartz is pretty much >the< casting bar addon when it comes to efficiency, functions, memory and processor usage etc. This page was generated in 0.598 seconds.